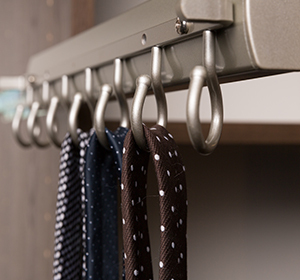 Beyond Storage has a variety of custom pull-out belt racks and tie racks for organizing all of your belts and ties. 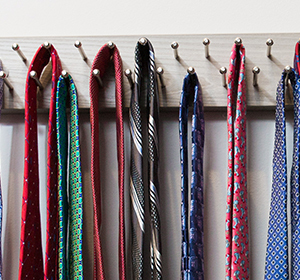 Our custom pull-out tie racks and belt racks come in a variety of colors to match any closet. 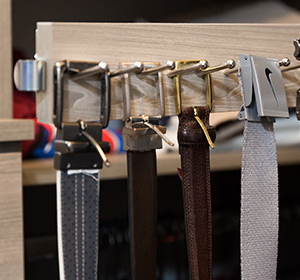 We even carry a double-sided belt and tie valet so you can maximize the storage space in your closet. Beyond Storage has custom closet accessories to complete any closet. Our designers will work with you to find the perfect pull-out custom tie racks and belt racks for your storage needs.